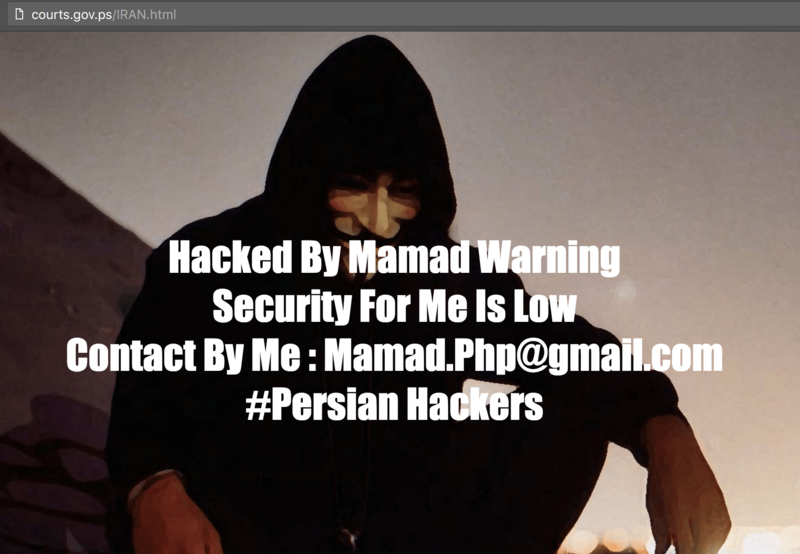 An Iranian hacker going by the alias of Mamad Warning has hacked the officiaL governmental website of Palestinian High Judicial Council. With the political situation between israel and Palestine in this day and age, it is fast to assume that the attack has come in support of Israel. However, that doesn’t seem to be the case in the attack against the government agency. The hacker did not leave any political message, just a statement showing security is nothing in the face of the attacker, in addition the hacker provided their Email. The website has been hacked twice before this incident. The hacker named GeNiuS-JorDan hacked the government agency just last year and previously by the hackers named eMP3R0r TEAM in 2010. Both hacks don’t seem to be motivated by any reasons other than exploitation of a vulnerability in the website. Most likely through the hacking method SQL Injection. This attack isn’t the first time the hacker Mamad Warning has breached a Palestinian server. It comes after the hacker mass defaced a Palestinian server just a few days before this attack occurred. Hacking 14 websites including a Palestinian government website and several educational institutions. Full list of defacements of that can be found on Zone-H cyber­crime archive. A newbie writer at The Hack Post. Completely in love with technology. Writing has always been a passion of mine and so is hacking. Combine them together and you get me. A bit of experience in the fields of cyber security and looking to expand on that in the times to come. As a student of Engineering, being an author at The Hack Post helps me cope with the stress that comes with that.